Open Streets Detroit — good done daily. Get snail mail from us. A movement to reclaim public space for people by temporarily transforming streets into paved parks and outdoor activity hubs. 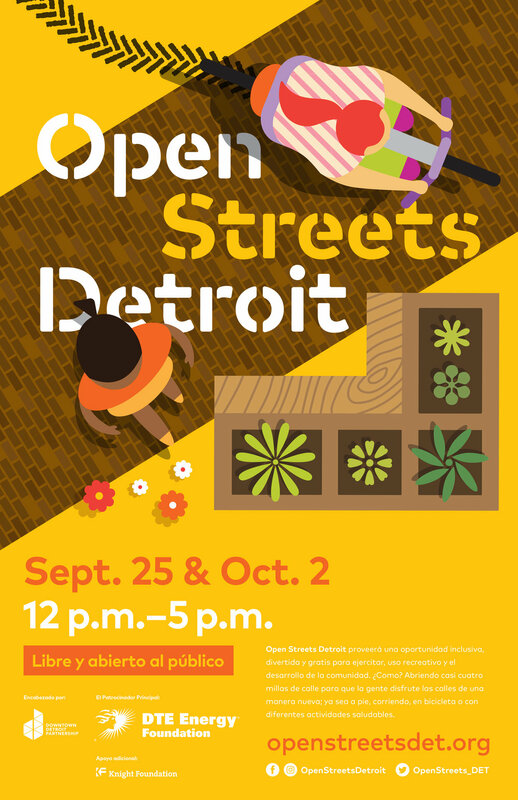 Open Streets Detroit is a new city experience to provide safe and inclusive opportunities for fitness, recreation and community building. It saw the opening of nearly four miles of continuous roadway for people to experience the city’s streets in a new way. Visitors were given a rare opportunity to walk, run, bike, rollerblade, make art, and use the normally car-filled roads for their own enjoyment. In addition to turning the streets over to people, the event developed programming along its route like yoga, dancing, basketball, and other health and wellness activities. We were asked to design the inaugural identity and a suite of materials including environmental signage, printed matter, and maps to guide visitors through their experience. 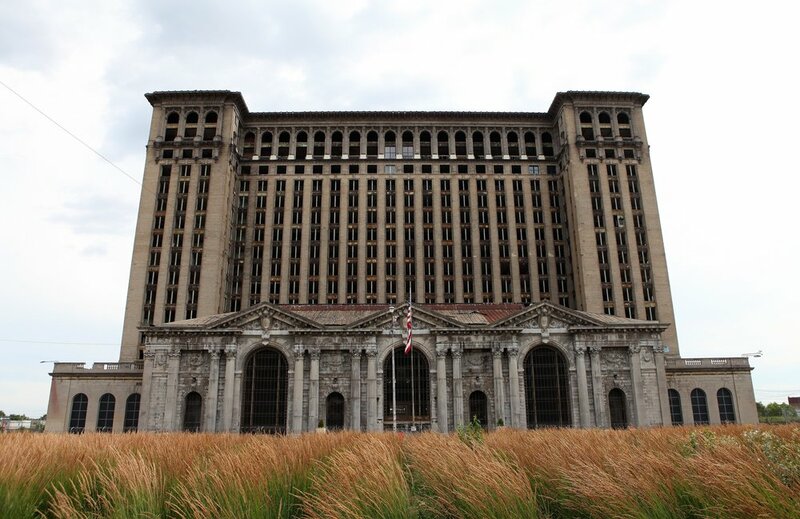 The logo was designed to suggest Detroit’s legacy of diversity. We wanted to make an identity and a logo that prioritized the people who live in our city and their experience with the roads. Just as important though, was the preference towards a mark that could reproduce in a nearly unlimited number of ways. 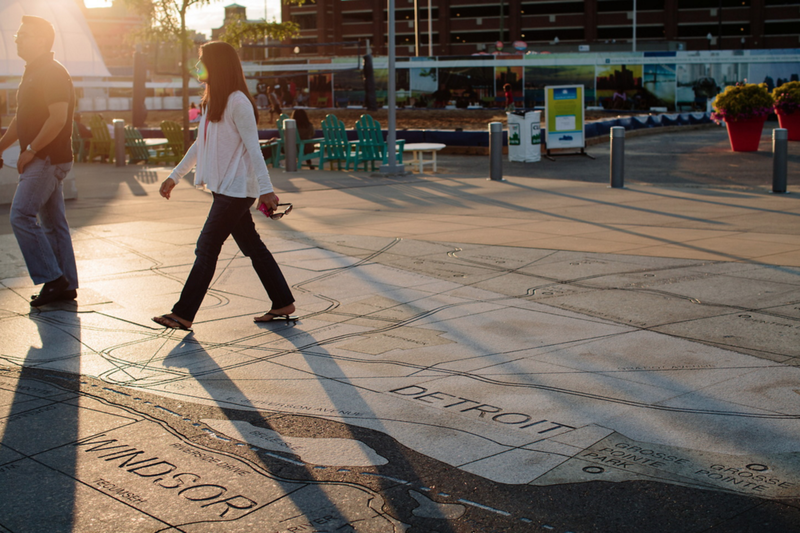 The route for Open Streets passed through many culturally varied Detroit neighborhoods. 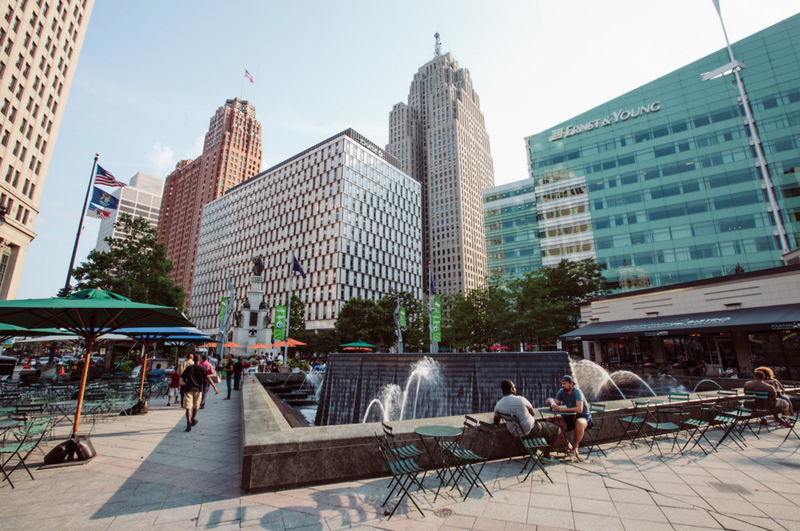 From Campus Martius (the city’s center), through Corktown and across the remains of its brick streets, and down Vernor St. into Southwest; an enclave for the City’s hispanic community. Each of these spots possess their own attitude and with it, details that make the landscape unique. We decided the best way to represent each neighborhood’s voice was to leverage these details through design. Some of these gestures drew upon things like the shadows cast by the architecture in the Central Business District and the ornate contours of the wrought iron fences that many Mexican families use to ensconce their yards. Thanks! We'll be in touch within 24 hours.